A database of parliamentary data of Visegrad and Balkan countries accessible through a RESTful API. Information about MPs, their membership in groups, proposed motions, cast votes and debate transcripts are available. The data are daily updated from official websites of the respective parliaments and transformed to a common format convenient for reuse in applications. API and data are used by project EveryPolitician. 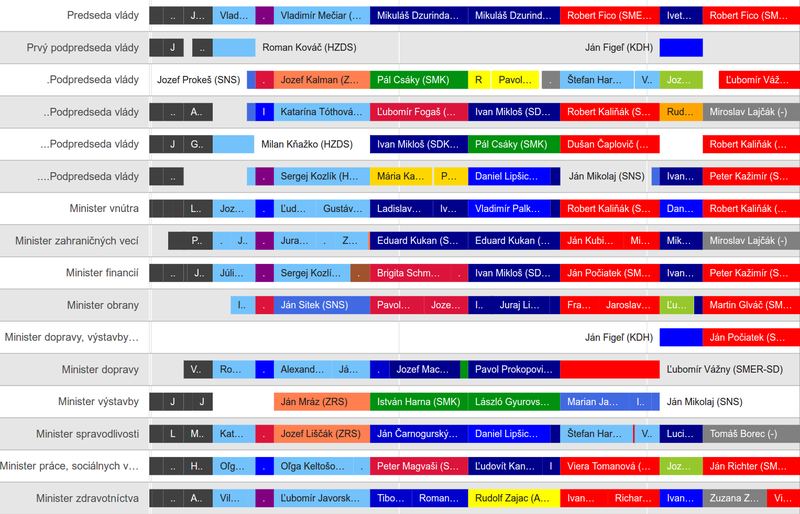 Transcripts of Slovak National Council debates in a modern readable look with fulltext search. Any point in the debate can be linked. 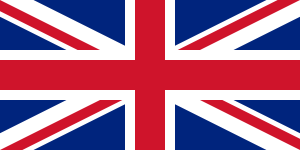 Created as a demo application to use the database of parliamentary data and its API. 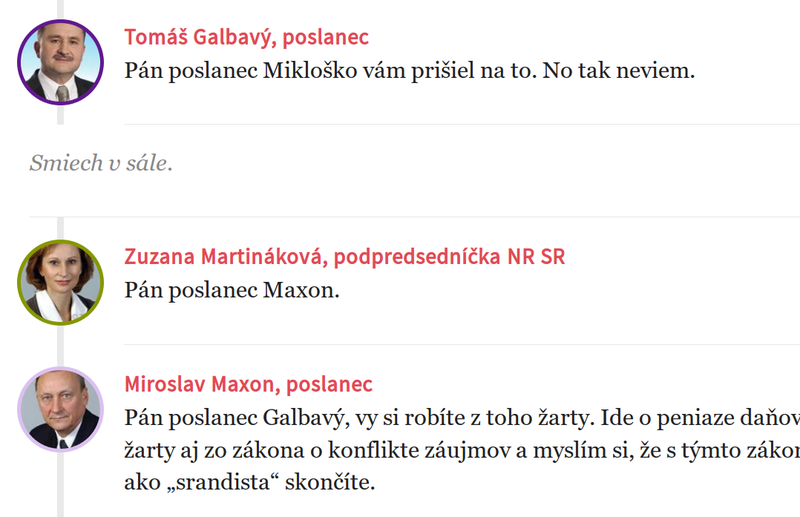 The only site to easily read all debates of Slovak National Council since 1993 and to search them. A web application making communication with politicians easy. Enter your address and find your national and local representatives. Then write a public message or question and the politician receives it to his/her mailbox. Sent messages and politicians' responses are published on the website and can be searched by fulltext or recipient. 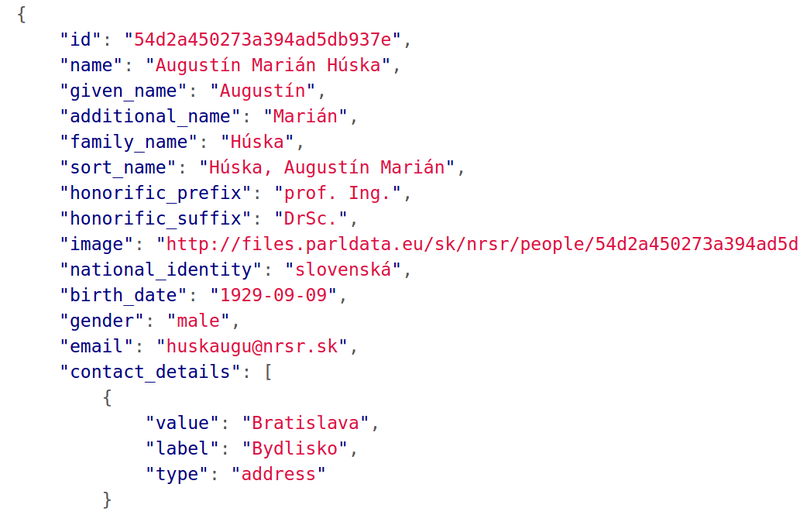 Scraper of data from Slovak National Council website and their transformation to Popolo data format in which they are stored in the common database of parliamentary data. The scraper detects changes on the official website of Slovak Parliament and updates the database by means of the API. A mobilizing application for teachers' protests in december 2015. 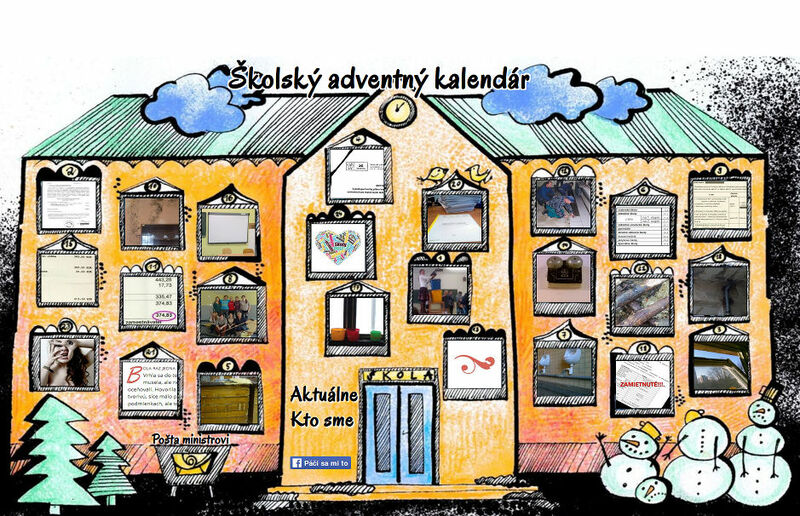 An advent calandar for ministry of education. Every window reveals one of the problems and eye-openers in Slovak schools. Just nearby you can send your christmas wishlist for change directly to the ministry. Cities where the wishlists were sent from are shown on the map of Slovakia. Sincere wishes for change were sent by hundreds of people – teachers, parents and students. 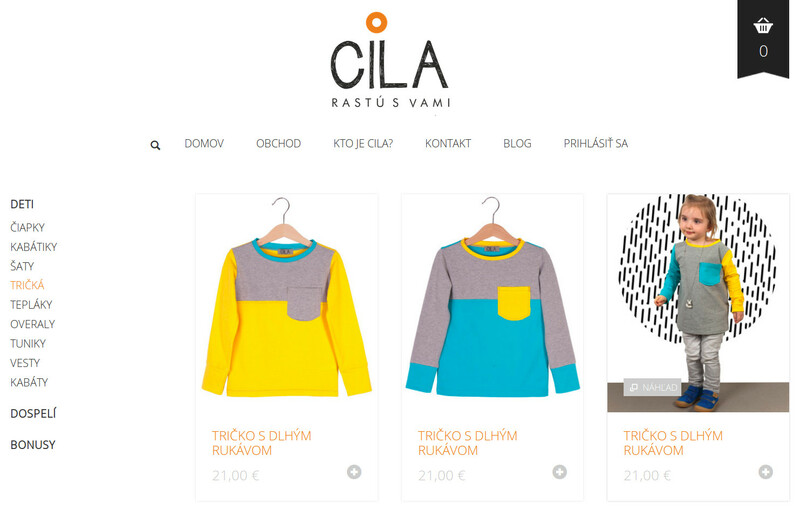 A small elegant e-shop with slow fashion clothing of a young Slovak brand CILA. 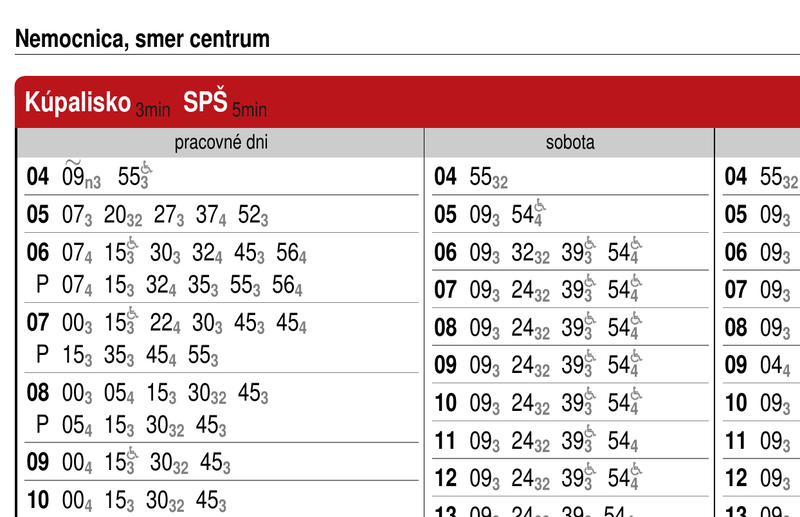 A timetable of city public transport focused on the needs of passengers and more convenient than the usual one. All services you can use are shown chronologically ordered for every destination. There is no need to search for the nearest service among several separate lines. Also with better design, more information and easy to understand without excessive symbols. A website promoting bicycle transport in Považská Bystrica. Information, advice, examples from other cities, local conditions. A widget to check on contracts and expenses of public institutions which is embeddable to any website. The widget displays recent contracts, invoices and orders published by a particular institution. Used by civic news portals in Považská Bystrica and Rožňava. A widget that finds the polling station corresponding to the entered address and displays the shortest route on a map. 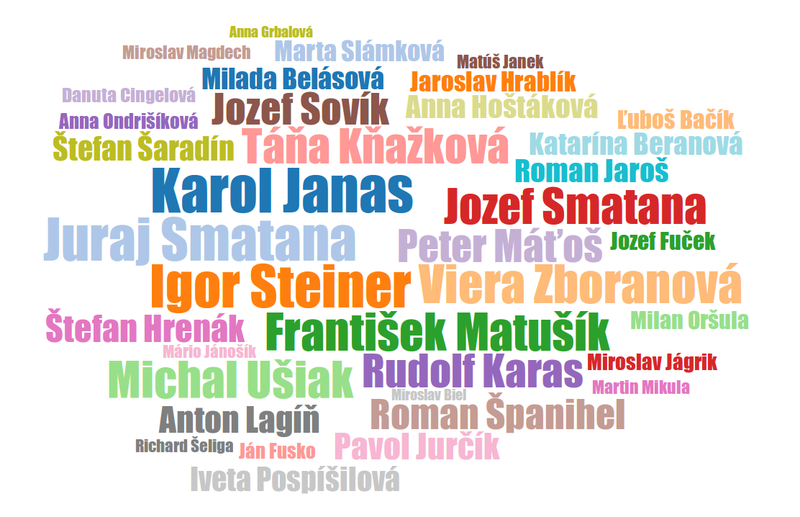 Created for local elections 2014 in Považská Bystrica. Used by website Považská Bystrica Openly. A script that daily checks the official municipal website of Považská Bystrica. If there is announced a session of any commission, city council or city assembly planned for the following days, all subscribers are notified by e-mail. Commisioner was born after exclusion of civic members of commisions in december 2012.